1) Good hand does not always translate to a big win. 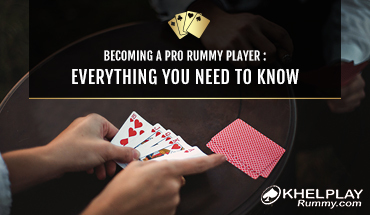 Rummy is a more of a skill-based game as opposed to the popular belief of it being a luck-driven kamikaze ball. Here, you can win the game even when your hand has no sets, sequences or jokers. You must have come across rummy pros who never complain about bad hands. And why is that? Because they know to handle the tough situations. 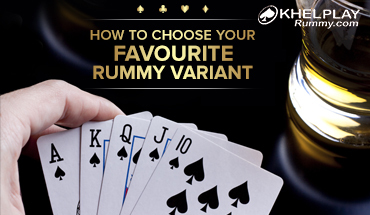 Furthermore, in case you have been dealt a strong hand in rummy, it does not ensure you are going to win. A single slip is all it takes to convert your dream hand into a nightmare one. Hence, it is best to stay on your toes, always! 2) Engage and encage your opponents. Keep a close eye on your opponent’s play. If one of the players on the table picks a card from the closed deck, then they might be holding a pretty good hand. To confirm this, you can discard a card as a trap card. So if the player picks it up, you will get a hint as to what cards your opponents is trying to make. Now you can hold the cards they trying to make in order to delay their declaration. 3) Remain calm, serene, and in command of yourself. Stay calm and watch out for options to decrease your points in case you are dealt a bad hand. You should carefully observe the discard section. It means to keep track of the cards that your opponents are discarding. Sometimes, the cards rejected by the opponents can help you to meld a set or a sequence. Focus on discarding cards with a higher value as it effectively helps in reducing points at the end of the game. 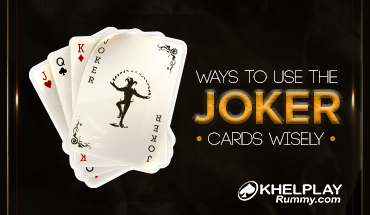 In rummy rules, face cards – K, Q, J, and A carry 10 points each. 5) Quitting is sometimes your best move! If you are still not able to make sets and sequences even after following the above game strategies, then the best strategic move is to fold the hand you are dealt and quit the game. Ensure that you have discarded all the cards in your hand with a higher value before dropping so that you don’t lose out many points. Relax and take a short break irrespective of the situation to de-stress your mind. Remember, it’s essential to get the taste of failure to succeed further. A bad run of cards or bad hands can be seen as an opportunity for you to enhance your game, play out your strategies and polish your rummy skills for better. Keep on playing and keep on winning.